When I was younger, my family would go to fancy restaurants and I would invariably order a Shirley Temple. (Ironically, the real Shirley Temple actually didn't like it much.) But it's hard to really find anything offensive in this kiddie cocktail: It's ginger ale with a splash of grenadine. There's also the less famous Roy Rogers, which is Coca-Cola with grenadine. The grenadine, red and sumptuous, always made its drinks look and taste much cooler. Quick, what's the flavoring in grenadine? If you said cherry...you'd be wrong. The red in the real grenadine comes not from cherries but from pomegranate. The name grenadine comes from the French word for pomegranate, grenade. In the last 15 or so years, the pomegranate has become a popular fruit that's purported to have antioxidants and healing powers! Grenadine has fallen out of favor in today's world of mixology. That's because this red syrup, found in almost every bar and restaurant in America, is made mostly of flavored corn syrup, with up to 9.3 grams of sugar in just one tablespoon. It's drifted very far away from its original formula. 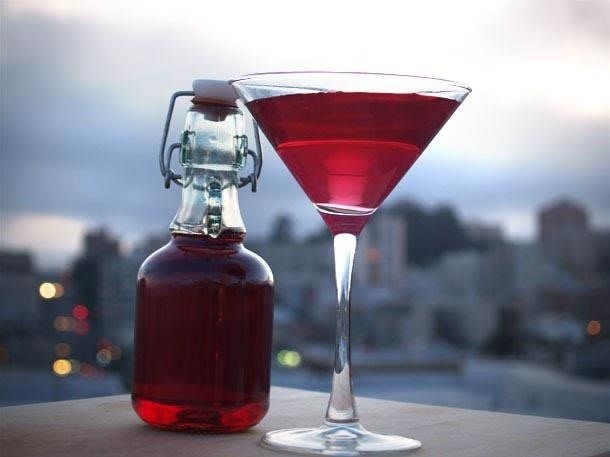 All hype aside, pomegranate is a wonderful flavor and making real grenadine can greatly enhance your cocktails and cooking. And because of the year-round availability of pomegranate juice, you can now have your own grenadine anytime. However, I recommend using real pomegranate fruit when possible for making grenadine. Many of the most popular brands of pomegranate drinks contain other juices as well as additives, colors, and artificial sweetener. It's actually not that hard to juice a pomegranate once you deseed it. All you need are a blender and a strainer. Alternatively, you can find a brand that sells nothing but 100% pomegranate juice. Grenadine was expressly created for cocktails. Cocktail and liquor expert Camper English found the first mention of grenadine in a book from 1891. Grenadine itself originally came from France. English discovered that as early as 1894, children drank grenadine as a pre-dinner drink while the adults sipped alcoholic aperitifs. Grenadine eventually made its way to the U.S. at the beginning of the 20th century. The most famous drinks with grenadine in them include the Singapore Sling, the Bahama Mama, the Tequila Sunrise, the Hurricane, and the Mai Tai. Americans clearly ran with grenadine and made it their own. Sugar and pomegranate juice is all you need! 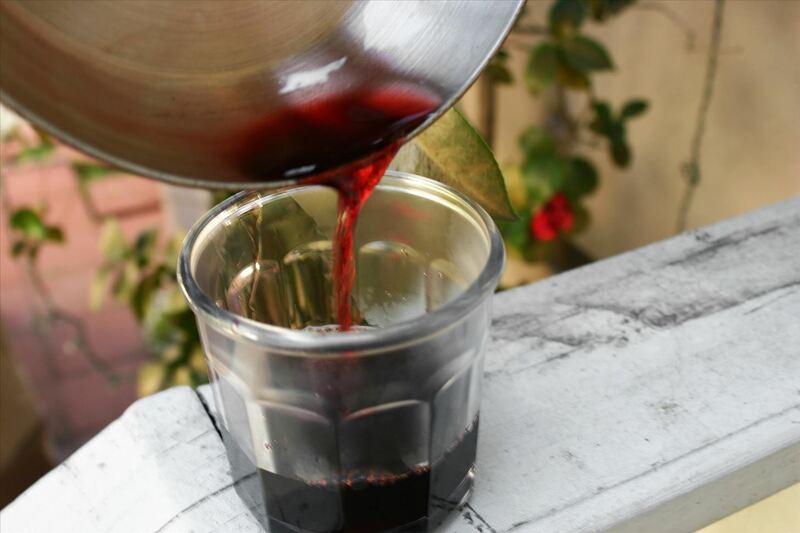 Now that you know a little about grenadine's history and uses, it's time to learn how to make your own. 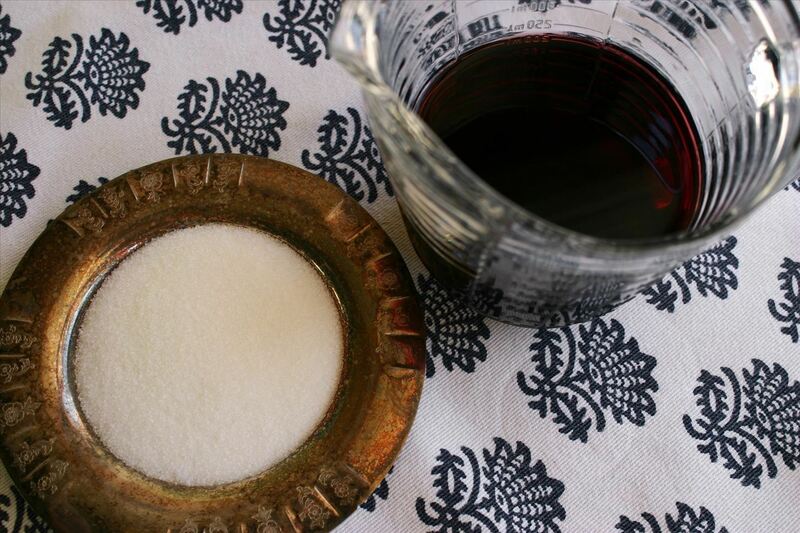 For your homemade grenadine, you'll need a four-to-one ratio of pomegranate juice to sugar. So a cup of juice to a quarter cup of sugar should suffice. 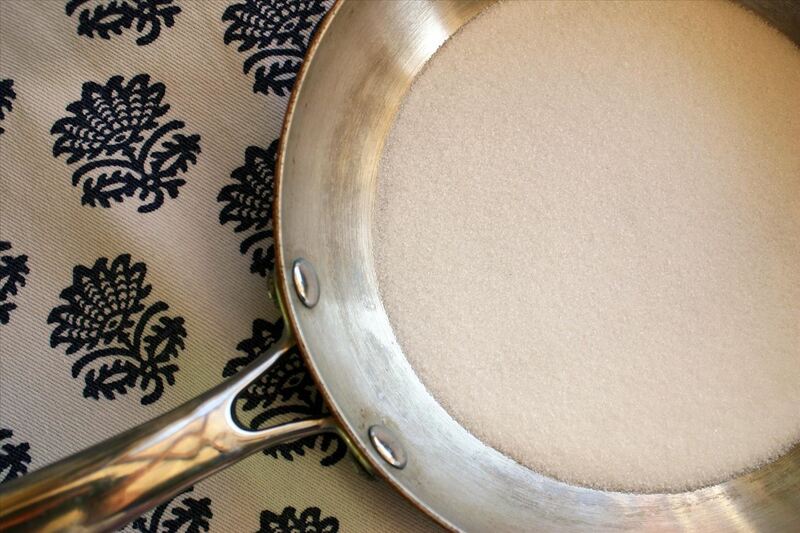 Combine the juice and sugar in a flat, shallow skillet to allow the water to evaporate more quickly. Over medium heat, dissolve the sugar and stir constantly to keep it from burning. Get a nice boil going and do this for about five minutes. Notice how thick it becomes as the water evaporates and the sugars remain. Next, remove the skillet from heat and let it cool. Some recipes call for adding lemon juice. You can do this or flavor it with other juices if you'd like. I've seen recipes that call for orange juice, rose water, hibiscus, and more. It all depends on how tart or sweet you'd like it. If it's too tart, feel free to stir in a bit more sugar. Once cooled, pour it into a sealable glass bottle and cover. Be sure to label and date it, because it's good for about a month. While primarily used in cocktails, grenadine can be a great additive to color frosting or whipped cream. It can also be used in sauces, vinaigrettes, or glazes. Try it in iced tea and cocktails. You can also make a variation of muhammara, a spicy spread made of roasted peppers and walnuts. Heck, you can even make it a theme with courses and cocktails honoring this ancient and beloved fruit. Enjoy!